Hardly any other product goes through more checks and controls during manufacture than a medicinal product. This certainly applies when all the production steps take place at the same company but even more so when several production concerns are involved – for example, a sub-supplier that synthesizes the substance and a pharmaceutical company that uses this substance to manufacture the finished medicine. A whole range of controls ensure that the quality is good and that pharmaceutical companies do not have any counterfeit products pushed on them. Customs authorities and the police frequently seize counterfeit medicines. These medicines either do not contain the substance at all or they contain the wrong one or the right substance in the wrong concentration or they simply claim to be products of a company other than the one that has actually made them. In Germany, such products are fortunately found almost exclusively in the supplies of illegal drug traders that sell their products over the Internet or in some fitness studios, usually without requiring a prescription. The fact that only a few individual cases of counterfeit medicines have succeeded in penetrating the legal supply chain and have ended up in pharmacies or even with patients is down to a number of defensive measures along the entire supply chain. These measures are implemented by pharmaceutical companies, pharmaceutical wholesalers, parallel importers and pharmacies as well as medicines authorities. You can download the video here as an MP4 file (43 MB) herunterladen. You can find an interactive version of this infographic with more detailed information at https://schutz-vor-arzneimittelfaelschung.vfa.de/. You can download a PDF of the chart plus images in JPG and PNG here. The information and images can be used providing the source is acknowledged. Pharmaceutical companies carry out a whole range of measures to ward off any attempts to smuggle counterfeit substances or medicines into the regular supply chain. They monitor their sub-suppliers for substances, other preliminary products and finished medicinal products on site. They check the authenticity of preliminary products and medicines from sub-suppliers batch by batch. They control their own production processes. They check who they are supplying their medicines to. And they document all these controls. They are legally required to carry out all these measures. They also voluntarily equip certain medicines with additional safety features such as a fluorescence marker with printing ink containing DNA or a tamper-proof protection (such as a seal over the flap or another feature to ensure an attempt to open the package is not overlooked). The medicines authorities in turn control the pharmaceutical companies and their sub-suppliers for substances and medicines. They also control the wholesalers, pharmacies and parallel importers. During pharmaceutical production, the authorities take samples themselves and ask to see all the results of the company’s own controls. Agencies that are particularly involved in this process are the EMA or European Medicines Agency, the US FDA or Food and Drug Administration, the German licensing authorities BfArM and PEI and the regional councils and other local supervisory authorities responsible for the respective company. Due to the many in-process controls installed for quality assurance in pharmaceutical production, it is hardly possible for counterfeiters to smuggle in counterfeit substances or medicines into the legal supply chain. Most pharmaceutical companies do not carry out every production step themselves. They tend to have substances, excipients and sometimes even completely finished medicines manufactured and sent by specialist sub-suppliers. The sub-supplier to be used is laid down in the licence; no company can change the supplier at its own discretion; this is only possible with official authorisation. LC-MS machine for chemical analysis which is used, among other things, for quality assurance of substances sent by sub-suppliers.Every incoming batch of a delivery from a sub-supplier is subject to compulsory control for authenticity, concentration and purity. Typical measurement methods to create the “chemical fingerprint” of substances and finished medicines are mass spectrometry, various types of chromatography and near infrared spectroscopy. The measurement methods for authenticity and quality control are laid down by the licensing authorities when pharmaceutical approval is granted and there are detailed rules on how often and how they are to be applied. These are contained in the European Pharmacopoeia in particular whose rules companies must comply with when manufacturing and testing medicines. The medicines authorities make sure during inspections that these controls are actually being carried out. The catalogue of measurement methods to be used undergoes continuous development. For example, counterfeiters actually managed to circumvent the sub-supplier control for heparin in 2008 by using a dilution agent that looked like an authentic substance for the analysis equipment used at the time. Since then, the quality control for heparin has been improved with additional analysis techniques so that this type of fraud could not happen today. 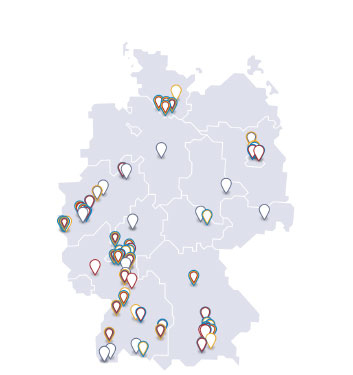 It is ultimately the interaction of all control measures along the supply chain that, apart from a few very cases, has protected patients in Germany from counterfeit medicines. This is why local pharmacists and the legal Internet pharmacies continue to be very reliable sources for genuine medicines. You can find out more about the measures taken by pharmaceutical wholesalers here. You can find out more about the measures taken by pharmacists here and here. To further increase security in the regular supply chain, additional security measures are currently being prepared across the EU. For example, from February 2019, packs of prescription medicines must have a tamper-proof seal so that they cannot be opened without anyone noticing. They must also be scanned for authenticity in the pharmacy. For this purpose, they receive serial codes unique to the pack which are stored in a protected database. You can find more information on this topic at "securPharm – German contribution to the upcoming extended EU Falsified Medicines Directive". To activate the video you should click the button "Activate video" below. We would like to inform you that data will be transfered to the respective provider after activation of the video.